Sweetest cherry from a dwarf plant! 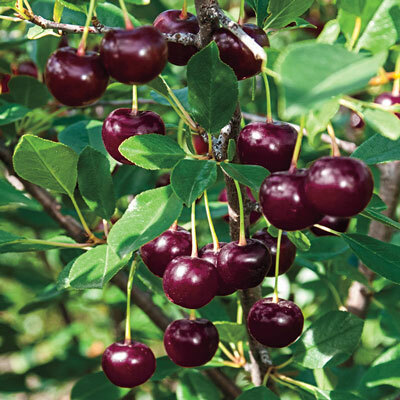 Juliet™ is our sweetest, tastiest dwarf cherry yet. It can easily obtain up to a 20-brix sugar level (even higher than sweet cherries) with a delightful acidity for a rich, complex flavor you're sure to enjoy. Large, deep-red cherries have become a favorite for eating fresh, but are just as delicious when used for baking, jams and ice cream. Plus, they freeze beautifully for later use. 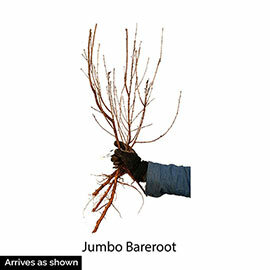 Growing to just 5-8 ft. tall, Juliet is a breeze to care for and harvest, yet it still yields up to 25 lbs. of sweet, delicious fruit. The attractive plant incorporates nicely into the landscape or large containers for a more portable garden. White flowers appear in abundance amid glossy green foliage. Self-pollinating. Zones 2-7. Height 5 - 10 feet. Height: 5 - 10 feet. Spacing: 5 - 7 feet. Depth: Plant in the spring in a sunny location. Place the plant in the hole at the same level it was grown by the nursery. This is where the roots start and the tops shoots begin. Spread the roots out evenly. Gently work the soil around the roots, do not pack the soil. Water plant thoroughly. Spread: 5 - 7 feet. 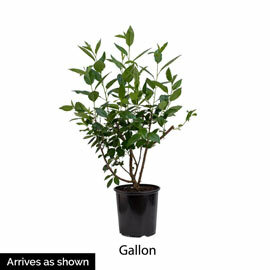 Foliage: Glossy green foliage, oval to obovate in shape, with pointed tips and serrated edges. Fruit: Dark red cherries. Full size fruit average weight of 5 grams. Large pits. Yield: Up to 25 pounds at 5 years. I have only just planted so only comment so far is the bare root plants were much larger than I expected with really nice root structure.